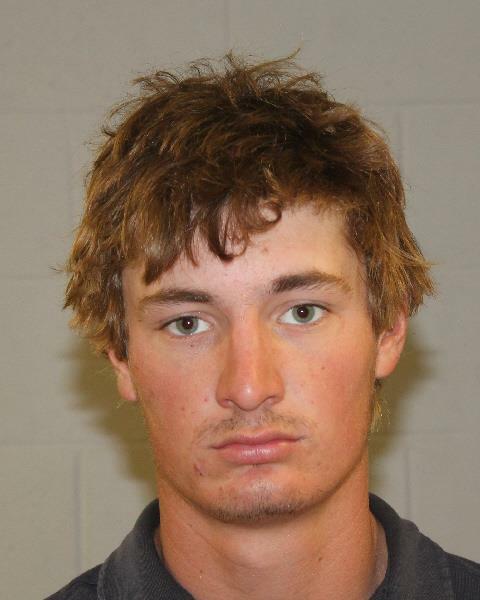 VEYO – A man was arrested Sunday for allegedly going inside the home of a Veyo resident on two different occasions, stealing $1,100 in cash and then using the money to buy drugs. Deputies met Friday evening with Veyo resident, who reported that $300 had been taken out of his wallet earlier in the day, according to a probable cause statement written by Washington County Sheriff’s Deputy Situli Tafili in support of the arrest. The man also told deputies that $800 had been taken from his wallet two weeks earlier. During an investigation, 21-year-old Jace Scott Mitchell, of Veyo, was identified as a possible suspect, the statement said. “I interviewed (Mitchell) later that day and he denied taking the money,” Tafili wrote in the statement. However, Mitchell’s story changed when deputies met with him for a second interview on Sunday. According to the statement, Mitchell also admitted to taking $800 two weeks earlier, saying he went to the home and saw the owner’s vehicle was gone, so he went into the house and took the $800 that was in the wallet. “(Mitchell) stated that the money was used to purchase drugs,” Tafili said in the statement. Mitchell was arrested and booked into the Washington County Purgatory Correctional Facility. He was charged with a second-degree felony for burglary of a dwelling and a class B misdemeanor for theft. His bail pending trial stands at $10,000. During Mitchell’s initial court appearance in 5th District Court Monday, the court ruled he did not qualify as indigent and that he must hire his own counsel. His next court appearance is scheduled for May 5. Hmm, I’m going to have to reserve (some) judgement on this one. The article doesn’t specify if he is a meth user (tweeker) or heroin user (junkie). I gotta reserve “scum bag” for those with vulnerable victims. I wonder what is the relationship between this idiot and his victim? If it’s his grandparent, he’s definitely a scum bag. You Mo Mo’s are so judgmental! Calling this kid a tweeker! He is no doubt a punk! but How sad you post stories like this to ruin this kids life in such a small minded town. Really???? Its our fault? Geeeeeze. Um he is the one stealing to buy drugs, if anyone is ruining his life- its him….that’s right I’m going to judge….he stole, he bought drugs and was arrested….thief, drug addict, convict. I suggest you get some judgment and stop enabling co dependency. How judgmental of you to call us Mo Mo’s. The man (not a “kid”) has ruined his own life, or at least is fully on the way to ruin. He told the cops he used the money to buy drugs, the commenters didn’t make that up. He obviously knew and was somewhat trusted by the victim. The 17 year old who did the same type of theft last year ended up killing the woman he found at home, too bad they didn’t catch him when he was still just a thief.